Prayer Shawls 4 Fallen Soldiers | Dedicated to providing prayer shawls for families of fallen service personnel. Dedicated to providing prayer shawls for families of fallen service personnel. This website is dedicated to the ultimate sacrifice made by our service men and women in Iraq, Afghanistan and around the world and for the grief and loss felt by their families and friends. Presenting these families with a Prayer Shawl in remembrance of their loved one is a small token of our compassion and appreciation. 1. Direct Contact Program: If you know a military family in need of a prayer shawl, you are welcome to contact them directly, then send me the information (military name, DOD, city/state). Or you may Google the military name and leave a message on the message board to offer prayer shawls to family members. 2. 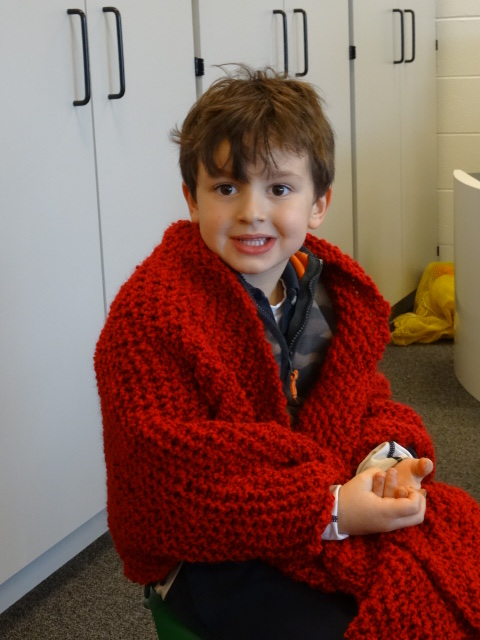 Direct Requests: If you are a military family and would like to request a hand-made prayer shawl, please e-mail us at ps4fs2@gmail.com, or CLICK HERE to complete a request on-line. Include the rank, full name, date of death, your name/relationship, and your contact information (address/phone/email). We will then arrange for one of our knitters/crocheters to provide a shawl for you. All information is confidential. We often share some correspondence notes and photos with our military Families in our monthly newsletters (click on “Monthly Newsletters” below). We invite you to read our newsletters filled with stories and photos of our military fallen. Our military families have been comforted by these newsletters, sharing stories, photos, cards/letters from you! They are pleased to learn about large groups of Americans who continue to care about their loss. PS4FS currently has 281 groups of knitters/crocheters and a few quilters; the majority are church-based, spread throughout nearly every state in our country. We have been together since October 2007, and in that short time have delivered more than 8,000 prayer shawls to our military families, hoping our work will give you comfort and return some small amount of joy to your lives. We never want to forget them, nor your sacrifice! 3. Dover Program: In October 2009, we began sending prayer shawls to the chaplains at Dover Air Base who, in turn, deliver them directly to visiting military families. The Friends of the Fallen at Dover periodically ask us to help replenish their supply of shawls – we conducted a successful Memorial Day 2014 shawl drive, and a second shawl drive in January of 2017. We will check with the Friends of the Fallen periodically, and announce the next shawl drive in a future newsletter. We encourage you to read our other newsletters which act as a tribute to our military families. (click on “Monthly Newsletters” below). One of our Partner-Providers was featured in their local newspaper. CLICK HERE for the full story. Prayer Shawls for Fallen Soldiers was featured in a local magazine. Click Here to check it out (Pages 15 and 16). In 2018, Prayer Shawls for Fallen Soldiers contacted 760 family members of 309 fallen service personnel. The letters went to 46 states, the District of Columbia and Puerto Rico. A total of 217 Prayer Shawls were provided when requested, and 78 Prayer Shawls were supplied to the Friends of the Fallen at Dover AFB. In 2017 a total of 901 letters were sent to family members of 395 service personnel in 49 states, two territories and two foreign countries inviting them to request a Prayer Shawl. In response to requests received, 331 Prayer Shawls were provided. In addition, 79 Prayer Shawls were sent to Dover Air Force Base for use in the Center for the Friends of the Fallen. In 2016 we contacted 450 family members of 177 service members in 38 states, 2 territories and 2 other countries inviting them to request a Prayer Shawl. In response to their requests, 188 Prayer Shawls were sent or delivered in person. In 2015, a total of 565 family members of 241 service personnel in 44 states, 2 territories and 2 countries received letters inviting them to request Prayer Shawls. In response to their requests, Prayer Shawls for Fallen Soldiers provided 156 Prayer Shawls. Last year we contacted over 500 family members in 46 states, three territories, and two countries. A total of 368 Prayer Shawls were provided - 217 shawls in response to requests generated by letters to the families or from the website, 150 shawls for Dover AFB, and 19 shawls through direct contacts.